Researchers from Karolinska University report a connection between in-vitro fertilization (IVF) and increased risk of blood clots and pulmonary embolism in the first trimester of pregnancy. The study completed by the university was published in the British Medical Journal. It is estimated that 10% of all couples fight infertility. 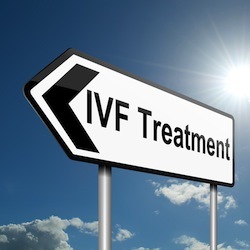 IVF has been one possible solution since the first procedures in the late 1970s. More than five million infants have been born thanks to the technology. Blood clots have always been a medical concern during both natural and IVF pregnancies. More blood clots typically occur in IVF pregnancies than natural pregnancies, but the risk of artery blockage after IVF is unknown. The study included nearly 24,000 women who achieved pregnancy after IVF and nearly 117,000 women who conceived naturally. The average age during pregnancy was 33 and all births occurred between 1990 and 2008. About 4.2 women per 1,000 in the IVF group suffered blood clots compared to just 2.5 women per 1,000 in the natural pregnancy group. When researchers narrowed down the results to the first trimester, 1.5 out of 1,000 women in the IVF group had blood clots compared to just 0.5 per 1,000 in the natural group. Risk of blood clots was elevated for the entire pregnancy, but exceptional risk existed in the first trimester, especially for the IVF group. When researchers took outside factors like BMI, education, smoking and maternal age into consideration, the IVF group risk remained higher than the natural group risk. In total, 0.8% of the IVF group was diagnosed with pulmonary embolism compared to 0.5% of the natural group. Researchers noted that overall risk in both groups was relatively low, but pulmonary embolism remains one of the leading causes of maternal death. Identifying women in the high risk group is imperative to reducing the number of deaths from blood clots or pulmonary embolism in pregnant women. Sources: Peter Henriksson, Eli Westerlund, Håkan Wallén, Lena Brandt, Outi Hovatta, Anders Ekbom. Incidence of pulmonary and venous thromboembolism in pregnancies after in vitro fertilisation: cross sectional study. BMJ Jan 2013; doi: 10.1136/bmj.e8632.